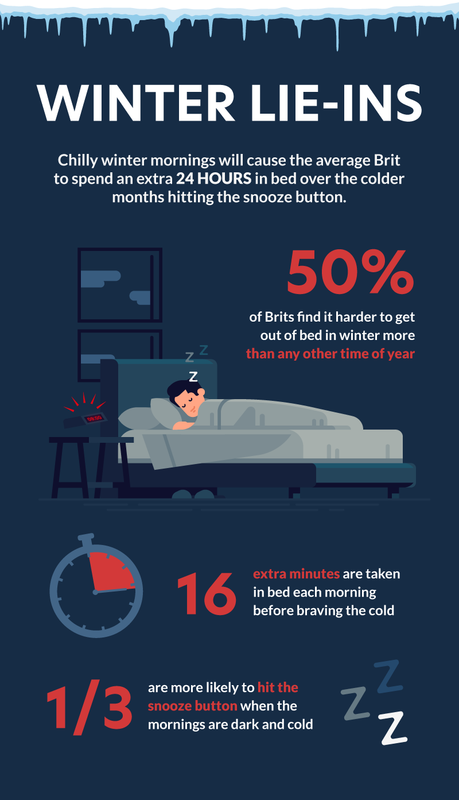 Chilly winter mornings will cause the average Brit to spend an extra 24 HOURS in bed over the colder months hitting the snooze button. Snug Brits will need an extra 16 minutes in bed each morning during winter before they feel brave enough to face the cold. 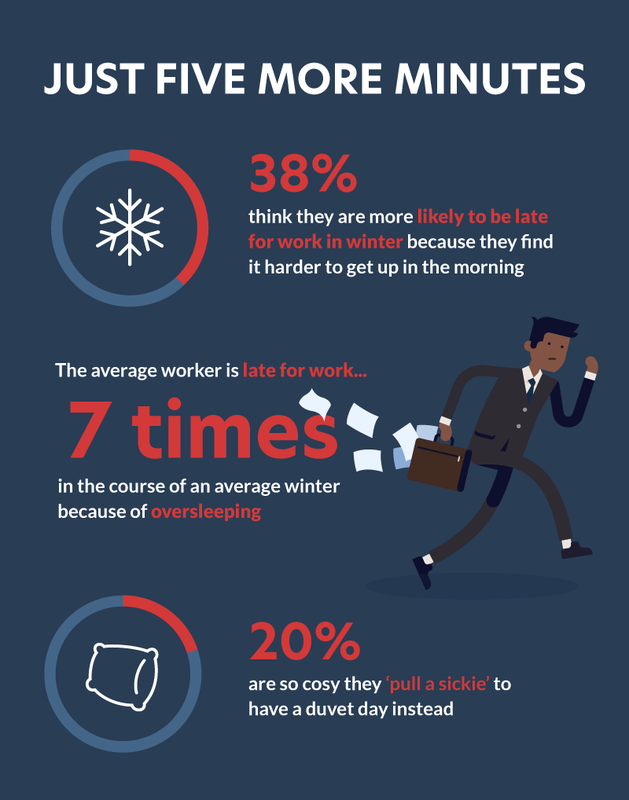 Of those surveyed who are currently employed, 38 per cent thought they were more likely to be late for work in the winter months because they found it harder to get up in the morning. As a result, the average worker will be late for work seven times in the course of an average winter because they overslept. And one in five have been so cosy they have pulled a sickie to have a duvet day instead. 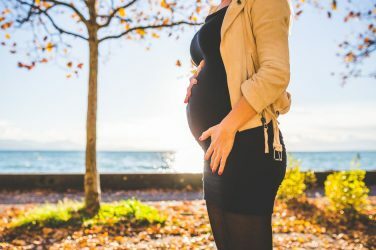 A spokesperson for Andrews Heat for Hire, which commissioned the study, said: “Darker, colder mornings can make waking up in winter months more challenging than any other time of the year. 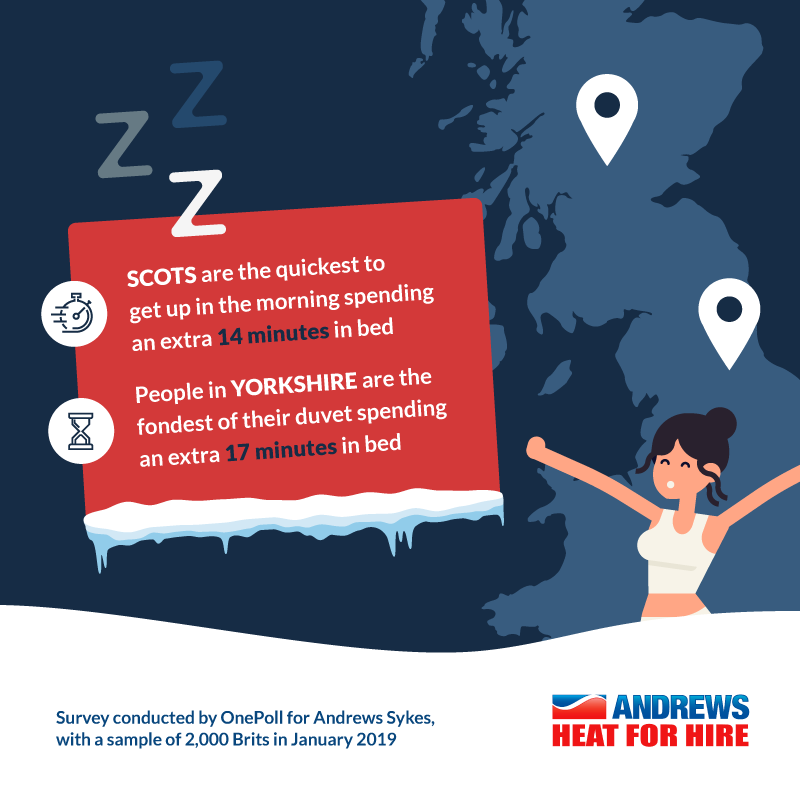 Regionally, Scots are the quickest to get up and face the day when the weather turns, spending 14 minutes extra in bed, while those living in Yorkshire are fondest of their covers, resisting the cold until they’ve had 17 extra minutes dozing. 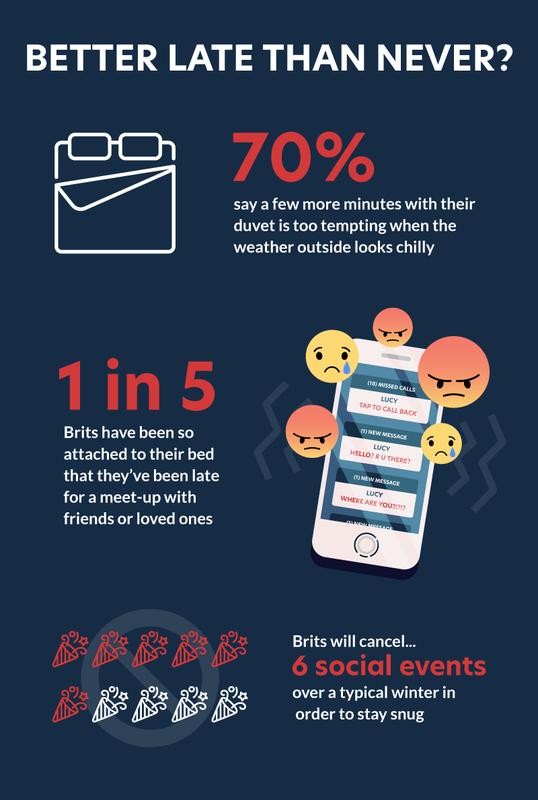 One in two Brits find it harder to get themselves out of bed in winter more than any other time of year, and a third think they are more likely to hit the snooze button when the mornings are dark and cold. And seven in 10 said a few more minutes with their duvet is too tempting when the weather outside looks chilly. 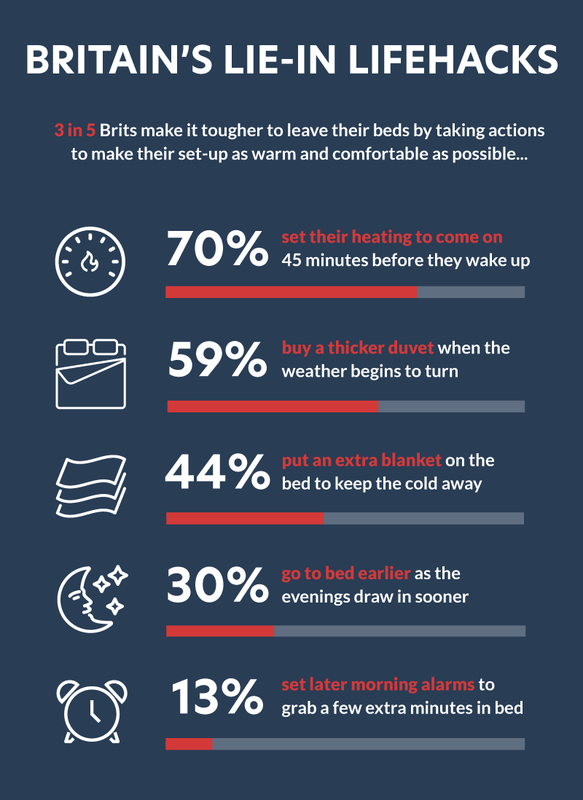 Three in five Brits make it tougher to leave their beds by taking actions to make their set-up as warm and comfortable as possible. 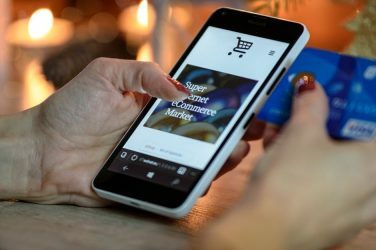 Of these, 59 per cent will buy a thicker duvet when the weather begins to turn, and 44 per cent will put an extra blanket on the bed to keep the cold away. More than seven in 10 even have the foresight to set their heating to come on before they wake up so their home is warm when they wake, clicking on 45 minutes before they stir. 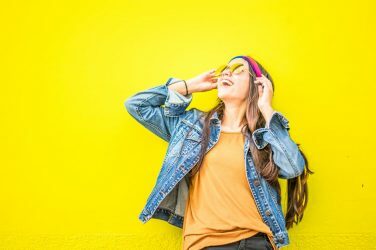 One in five Brits have been so attached to their bedspread they have been late for a meet-up with friends or loved ones. For those who enjoy the comfort of their cots more than their mates, they will also cancel six gatherings entirely over a typical winter in order to stay snug. Nearly one in two Brits are unable to shake their hibernation instincts when the temperature plummets and spend more time in bed during the winter than any other time of year. Three in 10 find themselves going to bed earlier as the evenings draw in sooner, and one in eight set their morning alarms later than they usually would to grab a few extra minutes before feeling the chill. A spokesperson for Andrews Heat for Hire added: “With a cold snap predicted over the coming weeks, our duvets are only going to become even more inviting.